Tiger can take instantaneous possession of assets and, because of our financial strength, can bring millions of dollars into an acquisition at any given time. 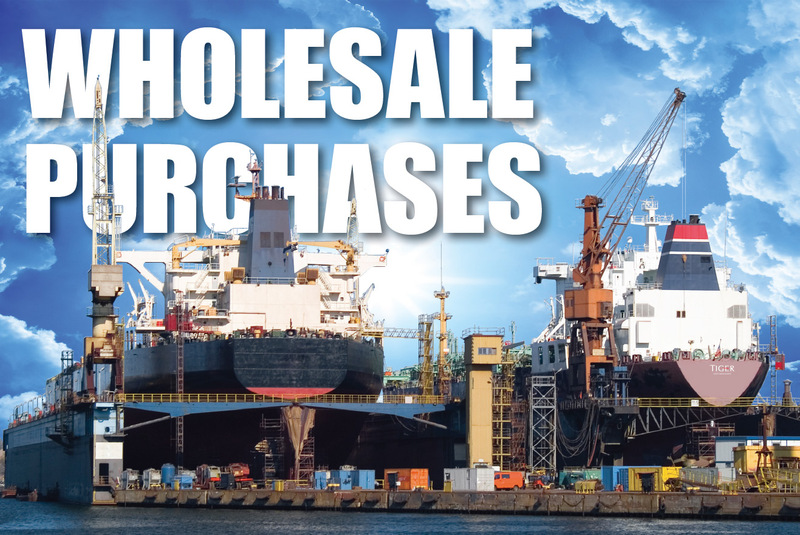 Through our network of secondary retailers, e-commerce partners, and store closing events, we can act as a broker, consultant, or outright buyer of excess inventories. We offer a sophisticated warehouse and distribution system that allows us to transfer, re-package or re-brand goods. Throughout the process, Tiger Capital works with management to protect both brand image and existing distribution channels. If needed, we can discreetly sell goods to markets outside of our business partners’ existing supply chain. During the last 24 months, Tiger Capital purchased over $100 million of excess inventory from more than 500 vendors. Apparel: One of the world`s largest professional services providers looked to Tiger Capital for the disposition of 185,000 units of excess apparel. The merchandise was a blend of men’s and ladies’ shirts in an unusually wide range of styles, colors, and sizes. The goods were located in several different warehouses. The client’s objective was to have an accelerated ‘one transaction solution’ without compromising their own positioning and distribution channel. Tiger`s ability to comprehend, consolidate and manage this inventory, coupled with our unique understanding of the relevant market, resulted in accomplishing the client`s objectives ahead of the prescribed time frame while satisfying the cost return goal. Children’s Hardlines and Consumables: An internet retailer had a significant amount of returned children’s hardlines and consumables accumulated over several years. Management wanted to restrict the channels of distribution of the inventory. Moreover, certain items had been recalled by the manufacturer and the client wanted to protect itself against potential litigation. Tiger was able to quickly assess the inventory’s value and monetize the product for the client. Tiger guaranteed the channels of distribution and inspected the inventory for any recalled items, then audited the buyers to ensure the policies and procedures arranged with the client were being met. Tiger was able to monetize $1.0 million of inventory per the specific instructions of the client.